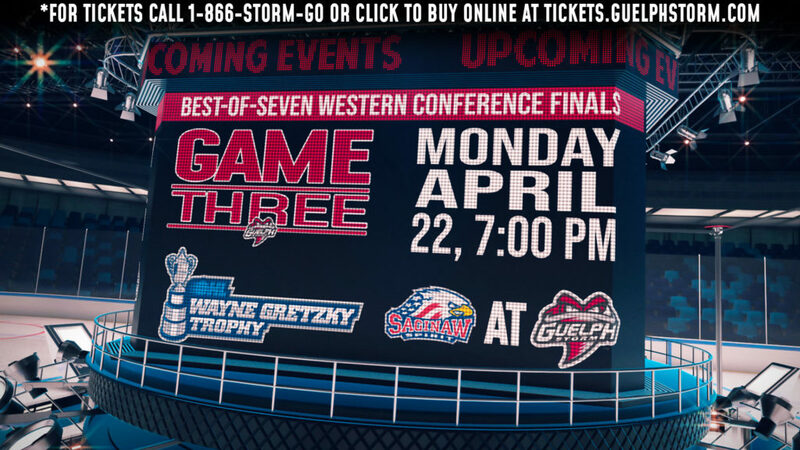 The Guelph Storm will look to rebound from Friday night’s defeat, as they visit Owen Sound to take on the Attack. 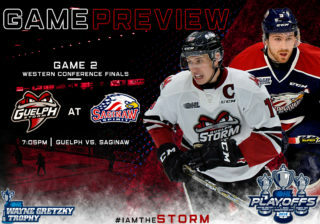 After falling victim to the high-octane offense of the Hamilton Bulldogs, the Storm will have an opportunity to rebound quickly when they head north on Highway Six to take on the Attack on Saturday night. The Attack had a slow start to the 2016-17 season, dropping their first two games of the year in low scoring affairs. Their fortunes, however, had seemed to turn coming off a 7-5 victory over the Bulldogs. With a stacked Midwest division, both teams will be pressing to take the crucial two points. Veteran forward Matthew Hotchkiss enters Saturday night’s contest with a three-game point streak and is off to the best start of his OHL career. He’ll look to extend his point streak to four games and help lead the way offensively on Saturday night. James McEwan was impressive in his 2016-17 season debut. It was an impressive debut for McEwan despite the loss, producing several scoring chances, he was able to find the back of the net, off a blistering one-timer. Last year’s leading scorer, is a great addition to the Storm’s offense and he’ll look to stay hot since returning from the Pittsburgh Penguins training camp. On the blue line, Austin Hall, is off to the best start of his OHL career, picking up two assists in his first three games. 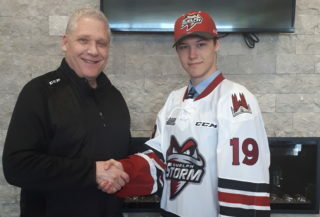 Not necessarily known for his offensive production in the OHL, Hall, has put up strong numbers in the past including 30 points in 48 games as a 16-year old in the GOJHL, combined with his strong defensive play, Hall has been a key piece early on for the Storm. 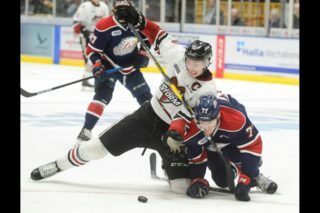 Owen Sound’s offense is lead by third-year forward, Petrus Palmu, who has recorded five points in three games. During Wednesday night’s game with the Bulldogs, Palmu tied a Canadian Hockey League record for fastest goal to start a period when he scored just four seconds into the second period. Attack’s veteran forward, Ethan Szypula, has also been an offensive threat recording three points in three games. Szypula averaging four shots a game, and is coming off a two-point game versus the Bulldogs. Second-year defenseman, Markus Philips, has been on fire to start the 2016-17 season, scoring twice in his first three games. He’s just one goal away from his total last year. Taking on a more offensive role this season Phillips will be a threat every time the puck is on his stick. The Storm and the Attack meet for the first of eight times this season.